A fantastic and fun horse trial, combined test, and dressage schooling show, held at a beautiful venue. Invite your friends to join you, and come show your potential for this year! Riders of all levels welcome. 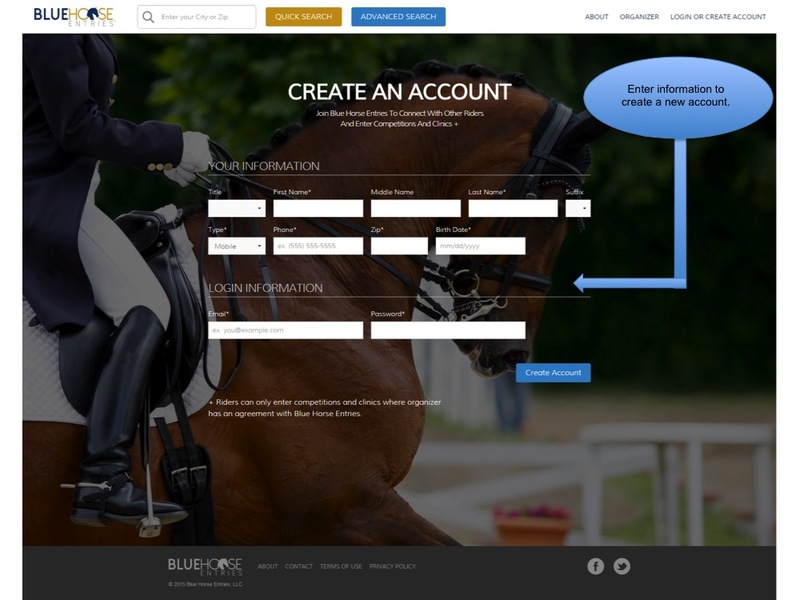 Classes and riding opportunities offered include horse trial, different combined test options, and USEA/USEF/FEI dressage tests. 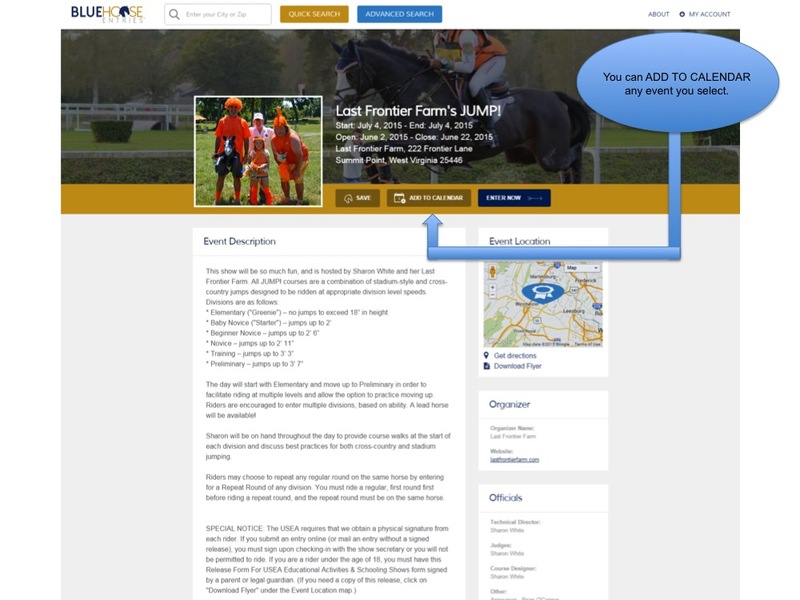 Multiple rides encouraged, and discounts available for immediate family members, Pony Club, and 4-H riders. Note: CT-A levels only. Same horse/rider combination. 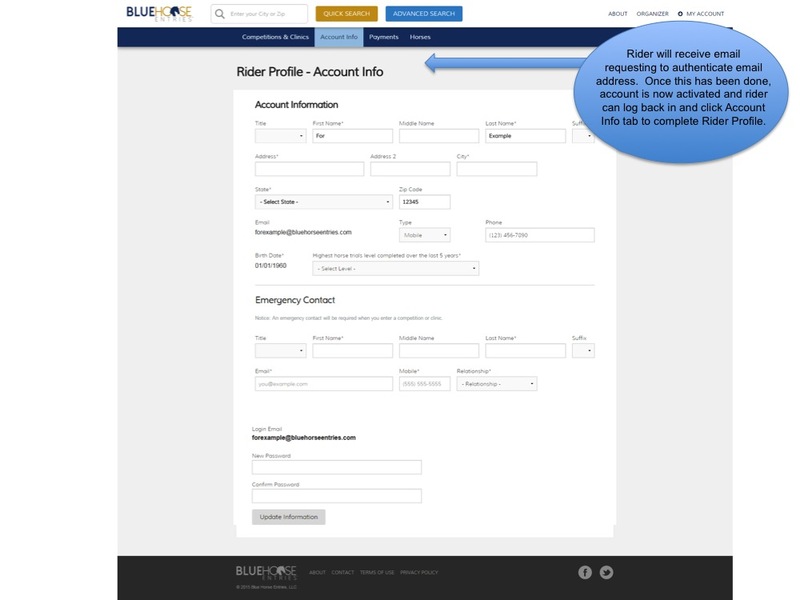 Note: Must specify which test you want to ride in Special Instructions in online entry. 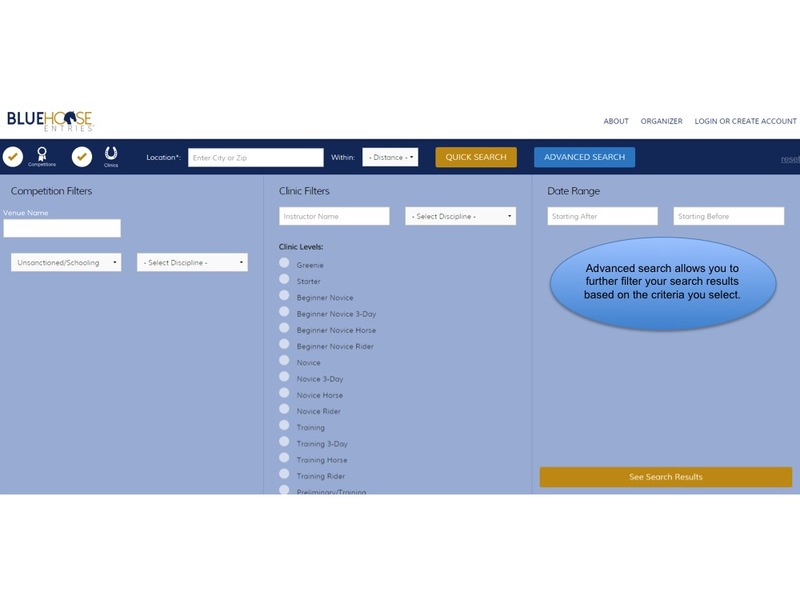 Choose any from 2018 USEA eventing tests, 2015 USDF dressage tests, or FEI eventing tests. Note: XC Schooling Saturday starts at 8:00 a.m., and ends at 3:00 p.m. for all levels. 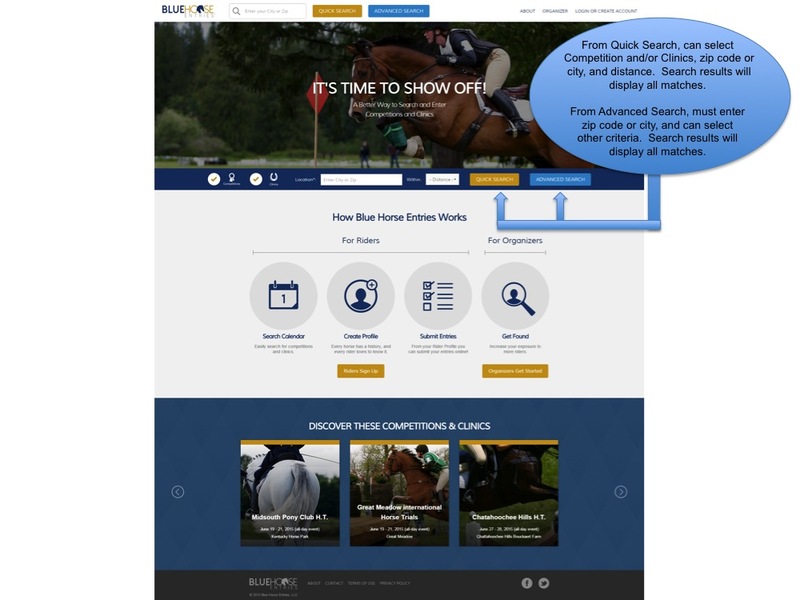 I am aware that horseback riding, hunting, riding to hounds and other equine activities are athletic events which pose intrinsic dangers of injuries or death to their participants. I understand that my horse(s) or I may be injured or die as a result of my negligence, the negligence of others, or through no fault of myself or anyone else, because of the nature of the activity in which I am going to be engaged. I also understand that horses, even the most well trained, are often unpredictable and are often difficult to control. With this waiver I accept notice of the provisions of the Equine Activity Liability Act, Ann. Code of Virginia §§ 3.2-6200 through 3.2-6203, which state in part: “Intrinsic Dangers of Equine Activities means: (i) the propensity of an equine to behave in dangerous ways which may result in injury, harm, or death to the persons on or around them; (ii) the unpredictability of an equine's reaction to such things as sounds, sudden movement, and unfamiliar objects, persons, or other animals; (iii) certain hazards such as surface and subsurface conditions; (iv) collisions with other animals or objects; and (v) the potential of a participant acting in a negligent manner that may contribute to injury to the participant or others, such as failing to maintain control over the equine or not acting within the participant's ability.” The waiver shall remain valid unless expressly revoked by the participant or parent or guardian of a minor, in writing, with receipt acknowledged by Virginia Horse Trials LLC. Furthermore, with this waiver, I expressly assume the risk of injury or death due to negligence by Andy Bowels, his agents, employees, members, officers, directors, and staff, for my own safety or for the safety of my minor child. With the knowledge of the foregoing, and as an inducement for The Virginia Horse Center, to allow me to ride on their property, I hereby agree to waive or release any and all rights that I or my heirs may have to make a claim against The Virginia Horse Center, their employees and participants, arising from any damages, injury, or death which I might sustain or which might occur to any horse’s) I am riding as a result of my horseback riding. I further agree to indemnify and hold harmless all of the foregoing from any claims which I might make or which might be made on my behalf by others or which might be made against me by others, arising from riding on their property. Furthermore, I agree to indemnify The Virginia Horse Center, their employees, or any landowners, their families, employees or tenants, for any injury, death, loss or damage to any personal property which might occur during an equine activity as defined by the Ann. 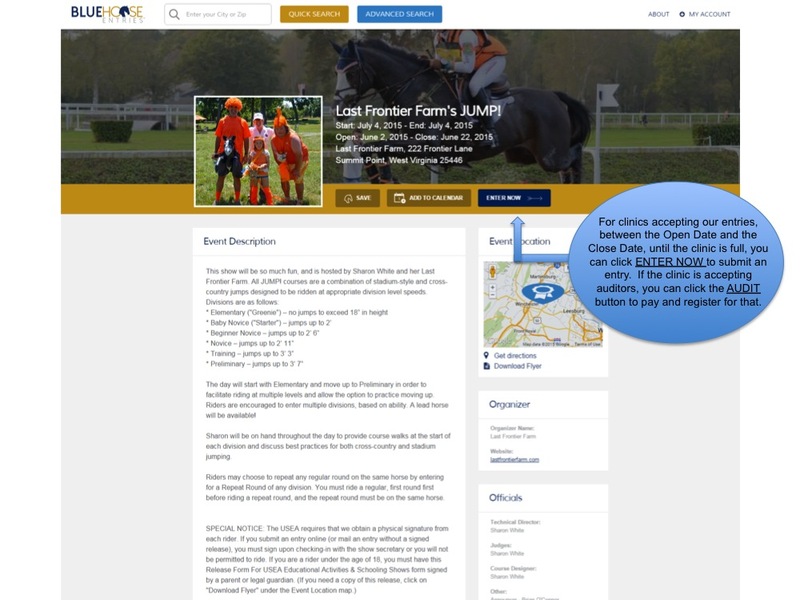 Code of Virginia § 3.2-6200, or social functions sponsored Virginia Horse Trials LLC or held in their behalf or for their benefit, when such injury, death, loss or damage occurs on their property. 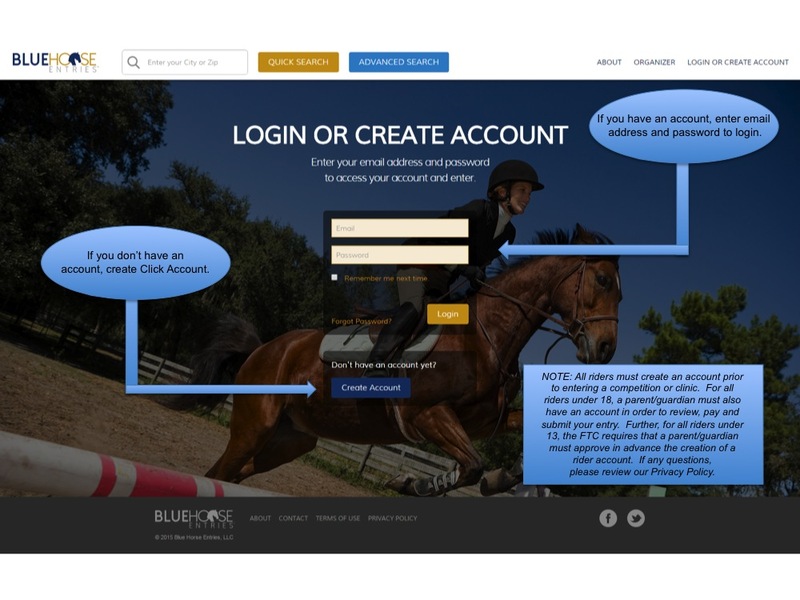 BY SIGNING THIS WAIVER AND RELEASE, I UNDERSTAND THAT I AM GIVING UP, (WAIVING AND RELEASING) ANY RIGHT I MIGHT HAVE TO SUE OR MAKE A CLAIM WHICH I MIGHT HAVE OR WHICH MIGHT SUBSEQUENTLY ARISE OR OCCUR AGAINST ANDY BOWLES, VIRGINIA HORSE TRIALS LLC AND PARTICIPANTS, OR ANY LANDOWNERS, THEIR FAMILIES, EMPLOYEES OR TENANTS, OVER WHOSE LAND I RIDE, FOR ANY INJURIES I MIGHT SUSTAIN WHILE HORSEBACK RIDING OR PARTICIPATING IN AN EQUINE ACTIVITY, AND THAT I AM INDEMNIFYING AND HOLDING HARMLESS, ANDY BOWLES, VIRGINIA HORSE TRIALS LLC AND EMPLOYEES, AND/OR ANY LANDOWNERS, THEIR FAMILIES, EMPLOYEES AND TENANTS, OVER WHOSE LAND I RIDE, FOR INJURING ANYONE ELSE OR ANY HORSE RIDDEN BY ANOTHER WHILE SO ENGAGED. IT IS MY INTENT TO GIVE UP THOSE RIGHTS AND PROVIDE THE HOLD HARMLESS AGREEMENT, AND I DO SO KNOWINGLY AND VOLUNTARILY. BY SUBMITTING THIS ENTRY, I AGREE to be bound by all applicable rules, terms, and provisions for this event. I am signing and submitting this entry electronically, and I acknowledge that my electronic signature shall have the same validity, force, and effect as if I affixed my signature by my own hand. No refunds after closing date. $25 office fee before closing date. Terry Abrams, secretary@vahorsetrials.com, (540) 357-0700. No guarantee of acceptance. Incomplete entries/Coggins/missing fees are considered late as of Close Date. All entries ONLINE only. 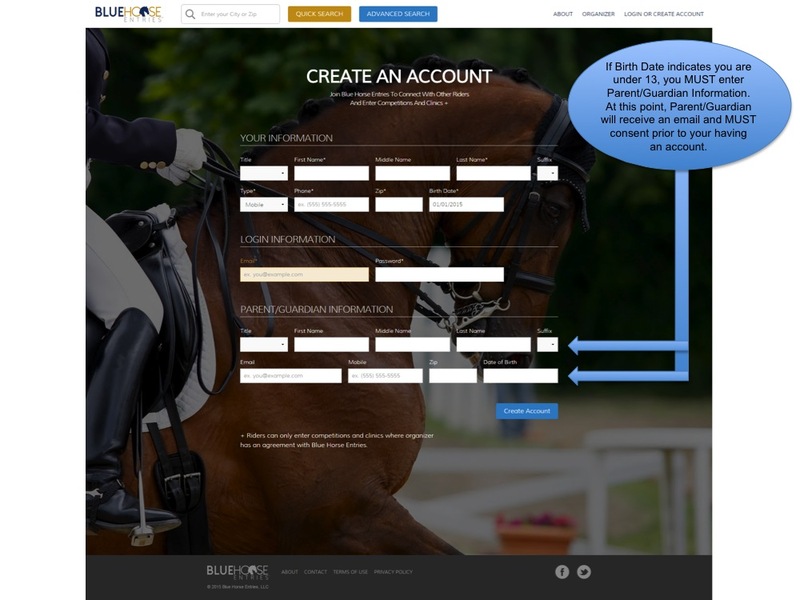 If you are new to Blue Horse Entries, first create an account. 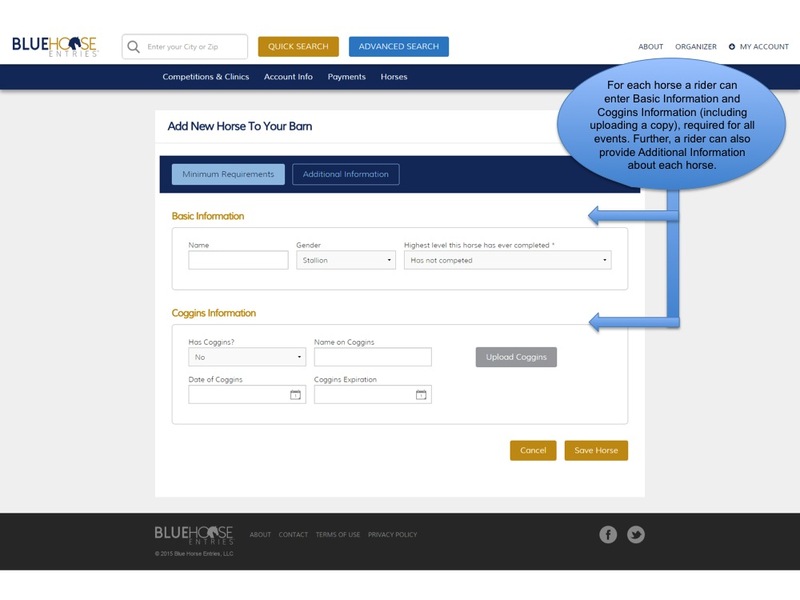 Then search for event, and submit entry. It's fast and simple! 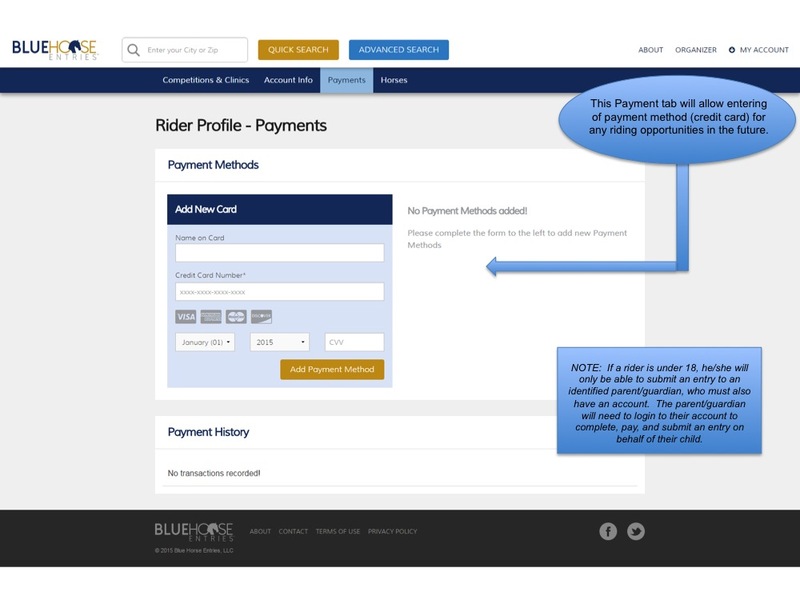 If you need any assistance submitting ONLINE entry, please email ridewithus@bluehorseentries.com, or call 859-493-2125, for assistance. 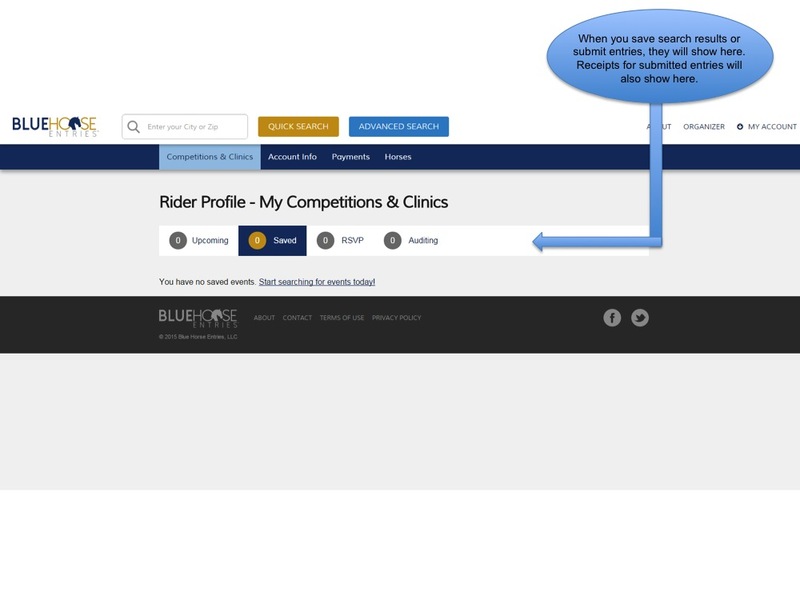 Ride times will be posted online Thursday prior to the event, at this link www.vahorsetrials.com/unrecognized-events. Cross country schooling on Saturday. Starts at 8:00 and ends at 3:00 for all levels. 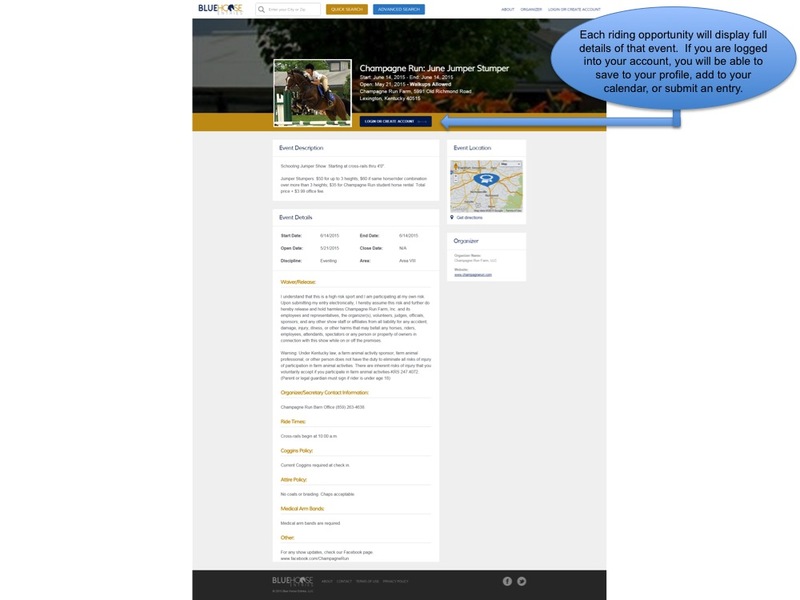 Stabling/Tack Stall: $50 per night per horse, or grounds Fee: $25 per day per horse. Must provide, and be within 12 months. 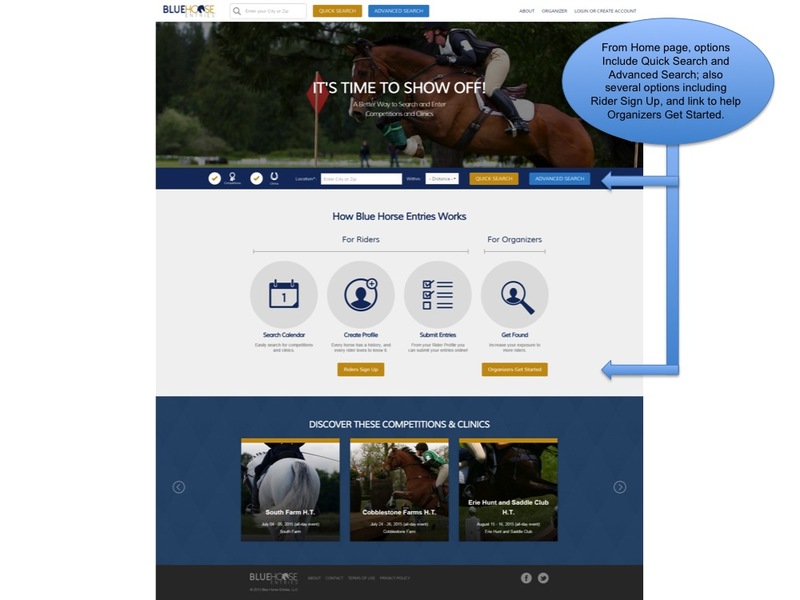 You can upload your Coggins with your horse and submit with your entry. 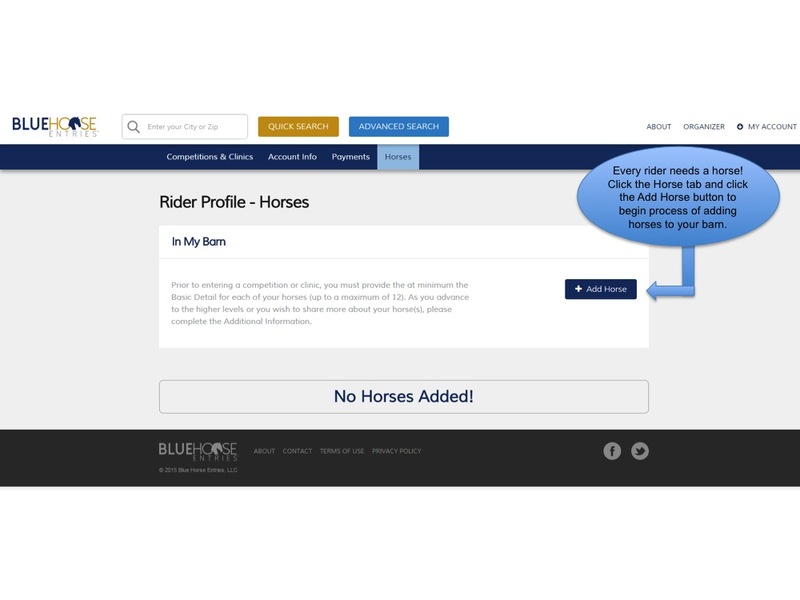 If questions on how to do this, please contact Blue Horse Entries at coggins@bluehorseentries.com. Casual and ASTM helmets required while mounted at all times. Ribbons: 1st thru 6th place. 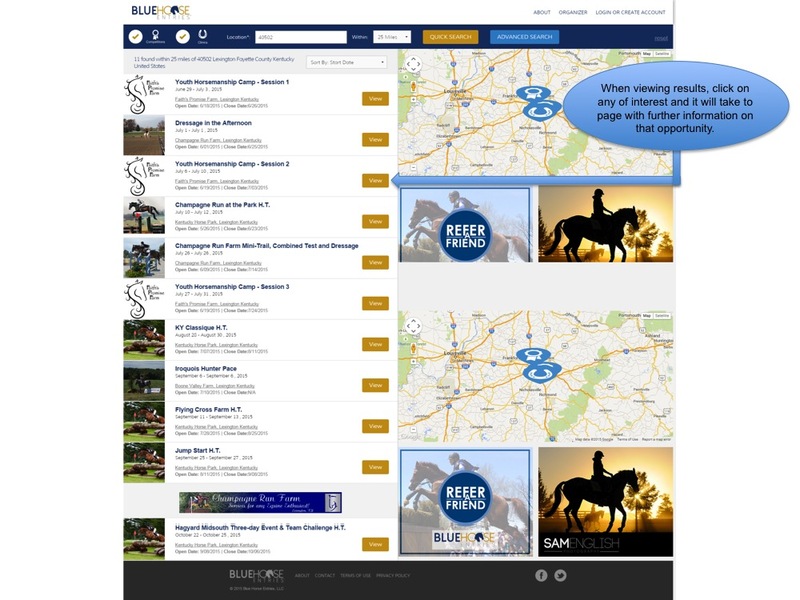 Prizes: Embroidered Saddle Pad for Winner of each HT Division, sponsored by Blue Ridge Equine Clinic. Dogs must be on a leash at all times or can be fined by VHC.